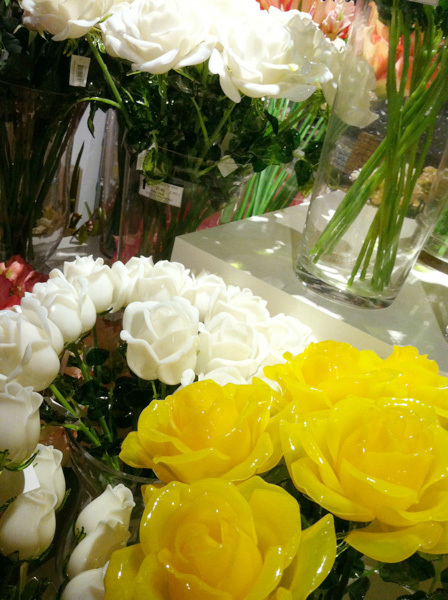 I saw these cool acrylic flowers at a store the other day. 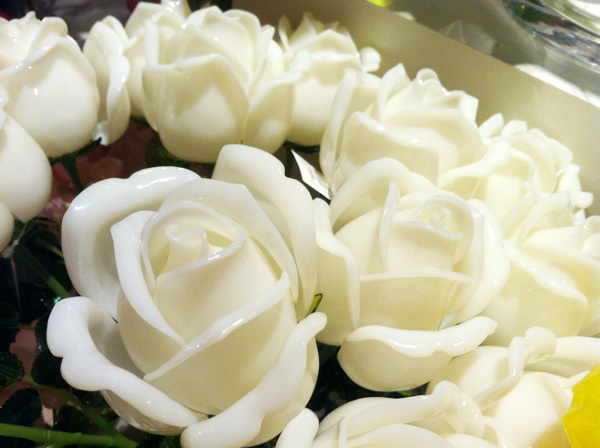 So awesome, I like them because they are so fake-looking in a good way. 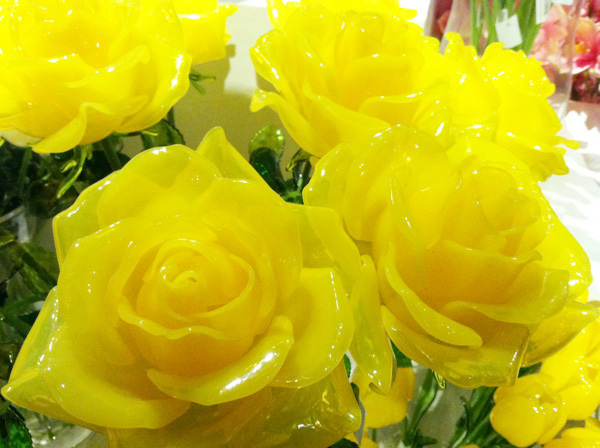 Their stalks are transparent green acrylic too, and the big blooming yellow roses are my faves. They cost about $25 - $28 each (can't remember very well) at King & King Wong's. The store doesn't allow photography but eh too late didn't see the sign. What a neat concept! I agree, the yellow ones are fun. 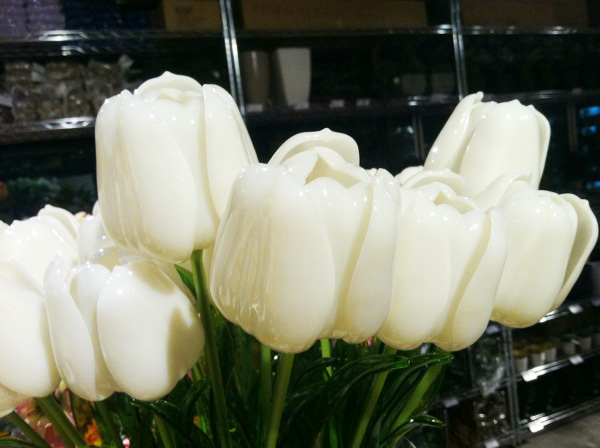 I'd love to have a vase full of them in my kitchen.